FOR BOTH STUDENTS AND TEACHERS! Elise presents her internationally-acclaimed workshop on working with scoliosis. By combining the yoga postures with breathing awareness, one can develop a structural alignment, creating a more normal symmetrical alignment. Through yoga, one can find the balance point that allows the scoliosis curve to coexist with gravity and activates the body’s natural line. Elise will do a quick review of the basics from Part I Friday night. The workshop emphasis will be on beginning and more advanced standing poses, back strengtheners and back bends, inversions and twists. Adjustments and props including wall ropes will be used to assist participants to work with their own scoliosis. GO HERE to register and pay by check. GO HERE to register and pay ONLINE (additional fee applies). Who the Workshop is appropriate for? 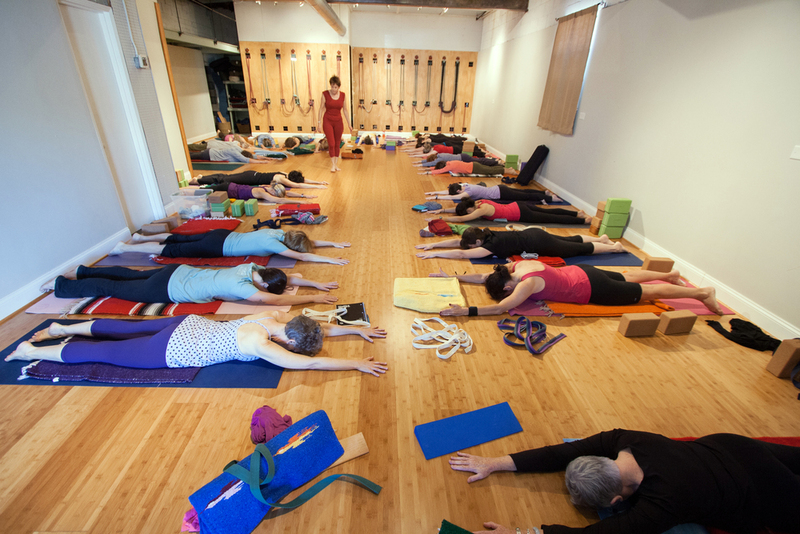 This 10-hour workshop will complete the 20-hour course requirement to becoming a Yoga for Scoliosis Trainer. If you’re not interested in getting certified at this time and have participated in Part I, you’re also encouraged to join us in Part II to learn more poses to address the needs of your students with scoliosis. Elise Browning Miller, M.A. in Therapeutic Recreation from UNC-CH, is a Certified Senior Iyengar Yoga Teacher who has been teaching yoga throughout the US and internationally for over 30 years. 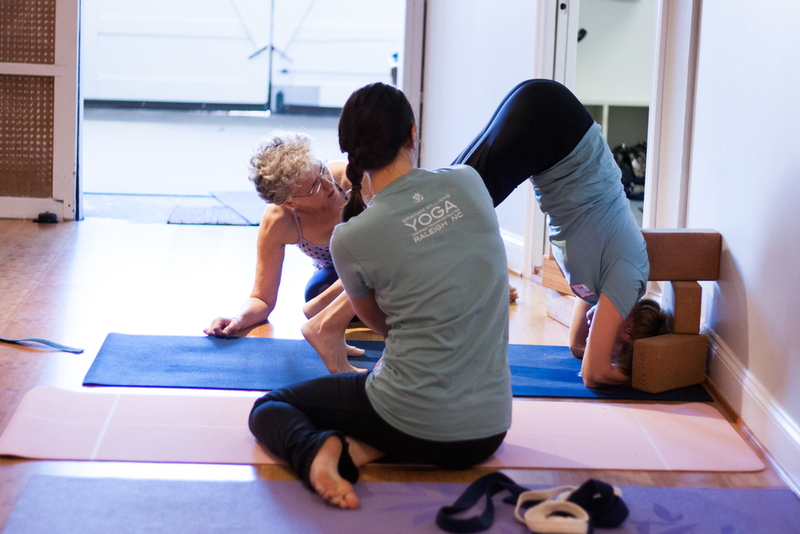 A founding director of California Yoga Center in Mountain View, CA, Elise has successfully used yoga to minimize the effects of her own scoliosis. She has published numerous articles on scoliosis and other yoga related subjects in Yoga Journal and other national magazines. Elise has studied on numerous occasions with the Iyengars in India and specializes in Scoliosis, lower/upper back problems and sports related injuries. She recently launched her new book “Yoga for Scoliosis – A Path for Students & Teachers”, and has produced her own DVD and booklets, "Yoga for Scoliosis", "Yoga for Back Care" and her "Yoga: Anytime, Anywhere book". Her joyous personality and ease of communication endear her to students with a teaching style that is down-to-earth, precise and nurturing.